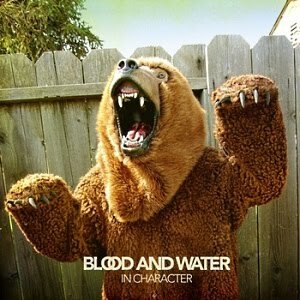 Blood And Water has the kind of songs that make me fall in love all over again with alternative rock. Today Brad Hagmann, Matt Hagmann, and Jon McMaster, three of the four members of the band, answered our Seven Questions in Heaven. Brad: Does that count as a genre? Jon: Lifetime, Kid Dynamite, and I definitely get a lot of my bass ideas from Face To Face. Brad: Everything. George Michael. Morella's Forest. Tasty Snax. Matt: Nada Surf, Someone Still Loves You Boris Yeltsin, Weezer, Better Than Ezra. Did you pick the name Blood And Water because of the its biblical reference and do you consider yourself a Christian band or a band made up of Christians? Brad: We've actually been asked this question a few times, and I really don't feel like either of those labels define our band. If a Buddhist starts a punk band, does that make it a Buddhist punk band? If a Christian makes a pizza, is it then a Christian pizza? At the most basic level, we're four guys making music. If anyone would like to sit down and talk about faith or spirituality on a personal note, I encourage them to reach out to us individually. We're all pretty open about that stuff. Matt: We chose the name when we were around 12 years old. It sounded hard. Brad: I think we wanted to be a screamo band back then. Or ska, I can't remember. Tell us a little about the album you're working on now. Brad: We've spent the last 18 months touring and promoting the last record. In that, we've gained and lost members, played live more times than I can count, and consequently learned how to play our instruments. It's been a life-changing experience, and I think that really reflects in the new songs. Jon: My favorite thing about performing is really locking-in together with the band, playing well. Brad: Playing the wrong chords, while pretending like you did it on purpose. Jon: Also, my sweet jumps. Jon: Sum 41, All Killer No Filler. Brad: Hybrid Theory by Linkin Park. Matt: North by Something Corporate. You're in charge of a music festival. You're the opening act and you get to pick any five bands, dead or alive, to appear on the bill. Who do you choose? And what song do you all get together and perform as the finale? 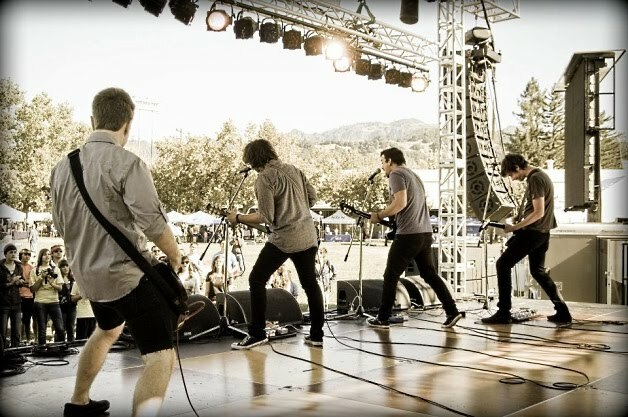 Jon: Kid Dynamite, Lifetime, Latterman, A Wilhelm Scream, Crime In Stereo. The song we perform together would have to be "The Decline" by NOFX. It's 18 minutes long. Brad: Nirvana, The Pixies, American Football, The Strokes, and Wham. We'd definitely close out the night with a tribute to Toto's "Africa."